Presented as a project at SOFIA MEETINGS in 2005, the long-gestating and controversial series of feature films and visual art projects and live installations DAU by Russian director Ilya Khrzhanovsky, is gearing up to launch in the neighbouring Theatre du Chatelet and Theatre de la Ville theatres in Paris on January 24. The event will run non-stop, for 24 hours a day, until February 17. 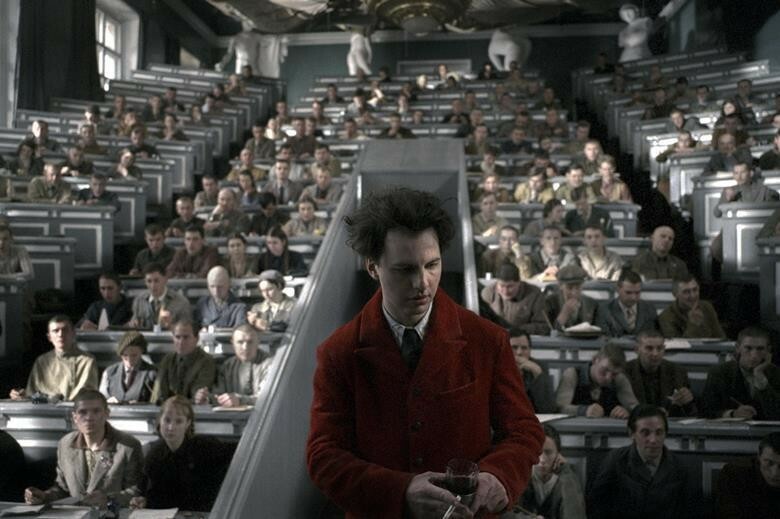 The project, originally conceived as a $3m arthouse film biopic about the Nobel prize-winning Russian physicist Lev Landau in 2006, has assumed near-mythic status as one of the strangest and most ambitious endeavours undertaken in recent European film history. The interactive event now covers 30 years of Soviet history from 1938 until 1968 and features footage of hundreds of real people living and working over several years in a specially created scientific ‘institute’. The project quickly mushroomed in scale and ambition and Khrzhanovsky went on to shoot over 700 hours of 35mm film and transform the project into a piece of visual, interactive art. The majority of the extraordinary shoot took place between 2009 and 2011 in Kharkov, Ukraine, where a fully-fledged Institute for Research in Physics was built and where hundreds of visitors left their old lives to live and work as if they were in the 1950s. They participated in scientific and philosophical experiments and every aspect of their lives were filmed. D’Anglejan-Chatillon explained how audiences will be able to experience the finished Dau in Paris. “The two theatres will function as living organisms which will live and breathe within the heart of Paris,” she said. Between them, the two theatres, which are on opposite sides of Paris’ Place du Chatelet, have seven projection spaces. Theatre du Chateet is headed by artistic director Ruth Mackenzie, a longtime supporter of Dau. Visitors will have to buy tickets (“visas”) in advance. A six- hour ticket will cost €35, and a day pass will cost €75. An unlimited ticket is priced at €150. The organisers hope up to 50,000 visitors will visit the Paris event. The two theatres have a capacity for 2,000 people at any one time. Audience members will be required to respond a number of questions about themselves. “We have created an algorithm which will generate a psychometric profile of you which will be embedded in your visa,” explained d’Anglejan-Chatillon. “When you come to the entrance, you will collect your visa and it will be twinned with a smartphone which we will give you as we take yours away.” This smartphone will contain personalised data about visitors and will work both as a guide and as a surveillance mechanism. The Dau project is credited as a production of Phenomen Films, a UK-registered company and a subsidiary company of the UK-based charity Phenomen Trust. (The project has been edited in London for several years.) The Phenomen Trust was created in 2015 to support the creation and wide accessibility of exceptional works of art and culture. One of its biggest donors is Russian businessman and philanthropist, Serguei Adoniev. The full list of partners on the project are: Eurimages, Arte France, WDR Arte, Medienboard Berlin Brandenburg, Mitteldeutsche Medienförderung, Ukrainian State Film Agency, Swedish Film Institute, Film I Vast, Hubert Bals Fond, and the Phenomen Trust.